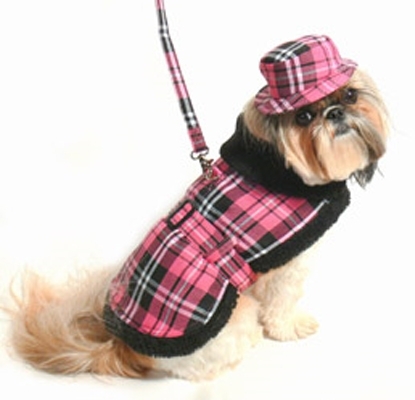 Check out this adorable Pink Plaid Coat Set with matching Hat and Leash! Black Fleece Lined. . . Very warm! Available in sizes XXS through XXL.